Between 25 and 45 million Americans suffer from irritable bowel syndrome (IBS). Characterized by abdominal discomfort, IBS affects the intestines and is associated with diarrhea, constipation, gas, and bloating. Because the cause of IBS is not well understood, treatments are lacking and focus mostly on relieving symptoms. Traditional treatments generally consist of medications that can have unwanted side effects. Patients who have found these treatments to be ineffective or undesirable often choose to try complementary medicine for irritable bowel syndrome. At his natural health practice in Poway, CA, Dr. Bret Mosher offers alternative therapies without the side effects of pharmaceuticals. His functional approach focuses on treating the whole person and identifying the underlying cause of the disorder instead of just treating symptoms. If you would like to learn more about how Dr. Mosher helps patients find long-lasting relief from IBS, please contact us and schedule a consultation. IBS can be frustrating to treat for several reasons. Besides having no clear cause, IBS is not associated with any physical abnormalities and its symptoms are characteristic of several other digestive disorders. In addition, symptoms may come and go, and they can vary significantly from one patient to the next. Symptoms may also appear contradictory. For example, constipation can alternate with diarrhea. What is known is that in IBS patients, the muscles controlling the movement of food through the intestines do not function correctly. Food is either pushed through too quickly, which results in diarrhea, or too slowly, which results in constipation. It is also known that while stress does not cause IBS, it can trigger symptoms in patients who already have the disorder. Though it is not life-threatening, IBS causes physical discomfort and distress that compromises sufferers' quality of life. Many patients find that the complementary and alternative approach helps when other approaches have not. Medications for IBS mainly consist of prescription laxatives and antidiarrheals. Other drugs work by acting on the neurotransmitter serotonin to regulate motility. However, the discovery of serious cardiovascular side effects (in the drug Zelnorm®) and severe constipation and reduced blood flow to the colon (in the drug LOTRONEX®) has led to their restriction. Antidepressants have been shown to improve symptoms in some patients. Side effects of antidepressants can include nausea, diarrhea, headaches, dry mouth, blurred vision, drowsiness, and sexual dysfunction. Newer studies demonstrate that psychological therapies can provide some relief of IBS symptoms. Researchers theorize that psychotherapy, cognitive behavioral therapy, and hypnotherapy work by reducing stress and helping patients change the way they think about their symptoms. Movement and centering therapies such as yoga and tai chi can help by lowering stress and anxiety, and increasing tolerance of discomfort. Patients may also choose to try therapies drawn from traditional Chinese medicine (TCM). Both acupuncture and herbal therapies have yielded promising results for the treatment of IBS. Dr. Mosher is an authority on this ancient body of knowledge. In TCM, herbal formulations are based on a patient’s pattern of symptoms instead of a specific disease. As such, they are customized for each individual patient. Acupuncture frees the flow of energy (Qi) that runs along specific meridians of the body. 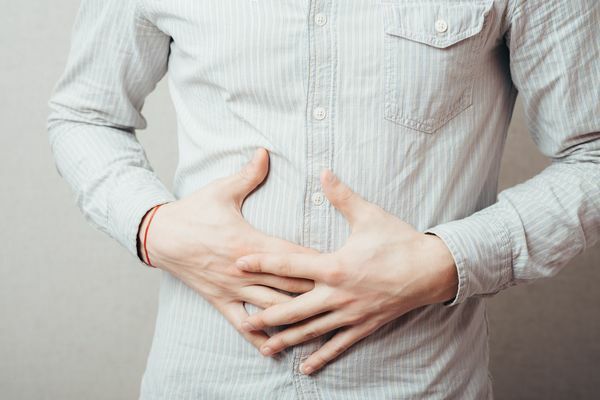 Acupuncture for IBS uses points along the meridians of the large intestine and the stomach (which are actually located along the lateral sides of the arms and legs). In addition to relieving IBS symptoms, acupuncture can strengthen the body’s immune system. Based on your individual diagnosis, Dr. Mosher may also recommend nutritional therapy. Many patients with IBS find that the complementary and alternative approach works when other approaches have not. By nature, a functional perspective is particularly suited to IBS because it focuses on the individual patient’s symptoms and avoids the “blanket diagnosis” of Western medicine. If you are interested in finding out more about the benefits of Dr. Mosher’s approach in treating IBS, please contact us today.